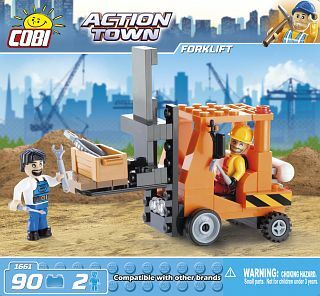 "Build a mini forklift and learn how to operate it. 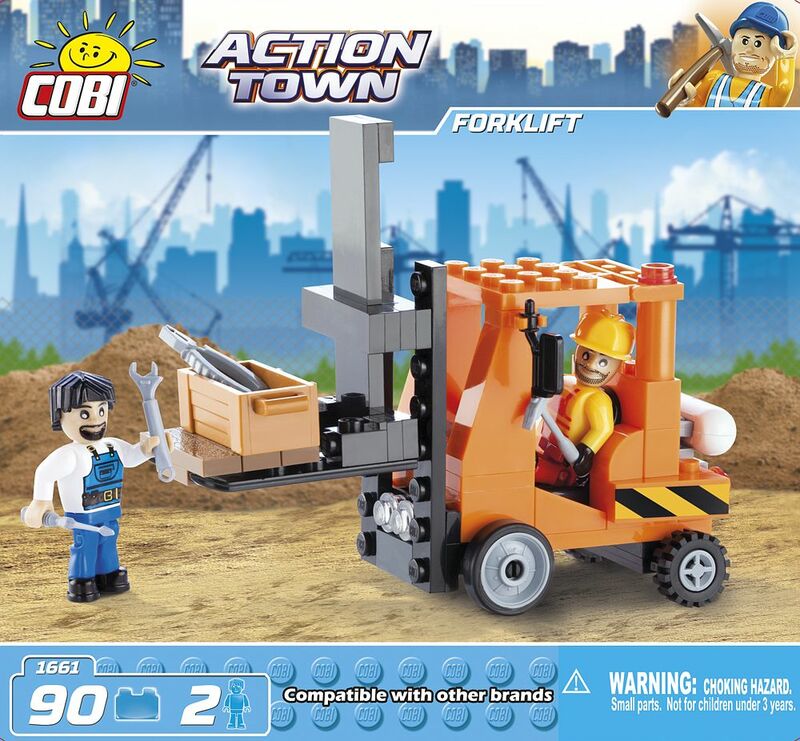 The forklift has a movable lift which can be raised and lowered. You can use a jack to move a pallet or a chest with tools. 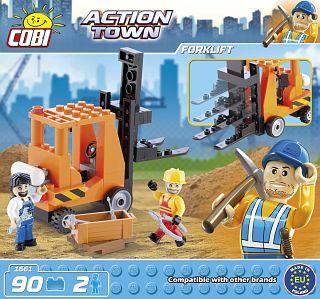 Included among many accessories you will find a tool box, hammer, screwdriver, wrench and pliers. The set consists of 90 blocks including two figures.